Every higher education institution is different. Each one has a unique set of users with specific technology requirements that aid in how they teach and learn. And while some schools manage their Apple devices centrally, others benefit from a de-centralized model. At Jamf, we understand that having a device management solution that fits the individual needs of your environment is essential to your university’s overall success. 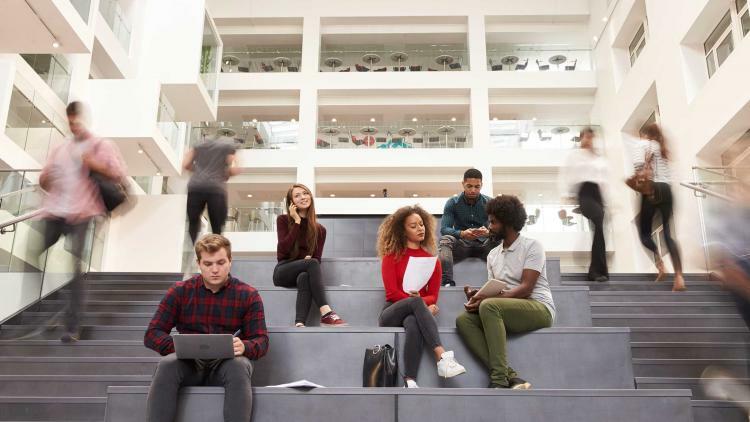 Read on to learn how some of our higher education customers are using Jamf Pro to achieve their school’s unique technology initiatives. As a technology leader within the University of Wisconsin system, UW-Eau Claire continues to push the boundaries of what’s possible with tech on campus by utilizing Jamf Self Service to give faculty the ability to create customized environments. Every student who enrolls at Shenandoah receives a MacBook Pro and an iPad Pro with Apple Pencil to use during their academic career. The school keeps all of the devices up to date by facilitating campuswide upgrades via Jamf Self Service. Through their creative use of iBeacons, which connect to managed devices in meeting rooms and teaching spaces, Waikato enables anyone with an enrolled device to seamlessly join the university’s network. By using Jamf Pro to control the version and software licenses, Warwick’s IT team delivers a faster, seamless experience for users while also reducing the amount of money spent on support overhead. Users at LSE find great value in their ability to perform many of the simple, yet time-consuming functions, such as running maintenance tasks and updating inventory information. These capabilities helped create a positive technology culture shift. Through a de-centralized model, 13 of the university’s departments align on their technology objectives around deployment, inventory, management and security of devices. For UO, this means providing support that’s specifically tailored to each department. The possibilities of what universities can accomplish when using Jamf Pro to manage their digital environments are virtually endless. 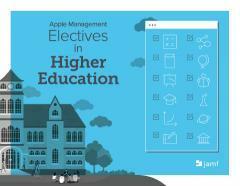 To learn more about how each of these schools are excelling with their Apple implementations on campus, check out their full stories in this Apple Management Electives in Higher Education e-book.